Kyivstar mobile communications operator has proposed the largest price of UAH 1.512 billion at the voice auction to receive 4G communications licenses for the 1800 MHz radio frequencies spectrum for lots four and six, allowing the operator to use radio frequencies in the 1770-1775/1865-1870 MHz and 1775-1780/1870-1875 MHz wide spectra. “We have bought a contiguous band – two neighbor spectra for reasonable money. I think that this is cool for business,” Kyivstar President Peter Chernyshov told reporters after the auction on Tuesday. He also said that the company had many various scenarios how to behave at the auction, although during the auction they had to be quickly revised. “We did not expect that the third bidders would do nothing. No one expected this. However, we received the widest spectra and we are glad about it,” Chernyshov said. 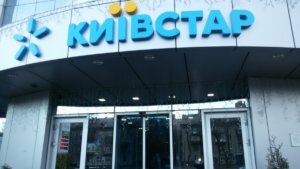 He also said that according to the auction rules, for providing the uninterrupted services to subscribers Kyivstar, using the primary purchase right, bought lot two for UAH 1.325 billion, which along with the acquisition of two lots by voices allowed the operator to have the widest spectrum. “Kyivstar was the donor of frequencies and voluntarily gave some of its spectra. Other operators would pay compensation of UAH 44.886 million to the company,” the company said in a press release.